An increasingly popular alternative to covering concrete is to make the surface both decorative and functional. 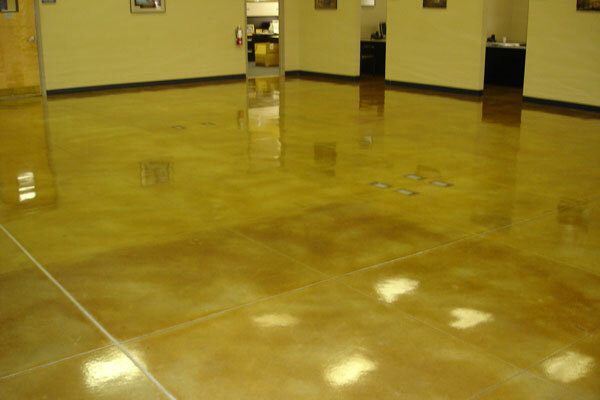 Concrete can be polished, densified, coated, treated with stains or dyes to create a rich variety of hues and textures. The resulting floor finishes combine beauty and creativity with the economy, durability, and practicality of concrete. We can help you choose the proper finish based on your needs and budget. If your having maintenance problems or your polished concrete is looking dull, give us a call, we can help!